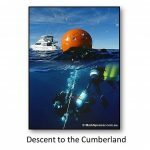 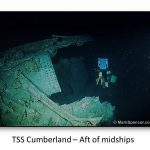 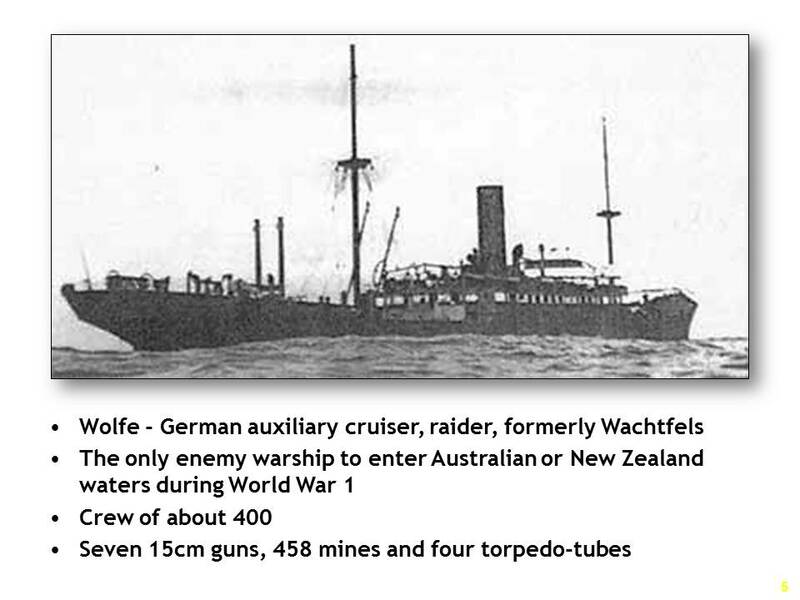 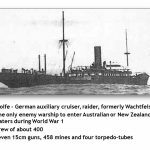 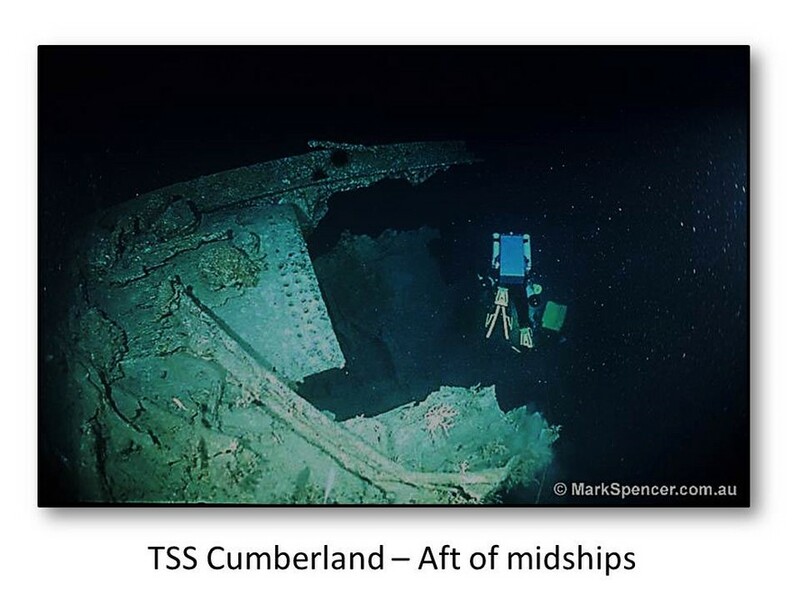 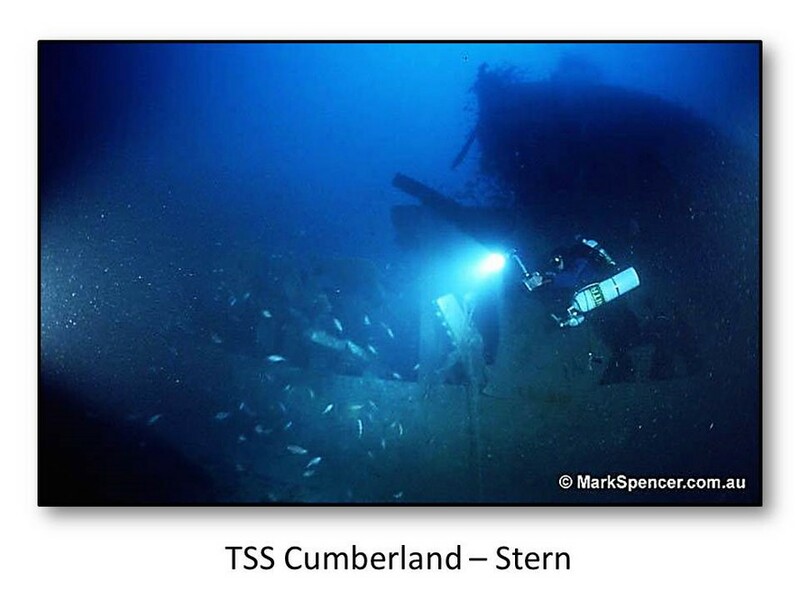 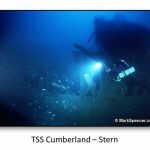 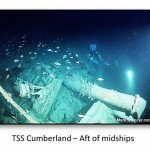 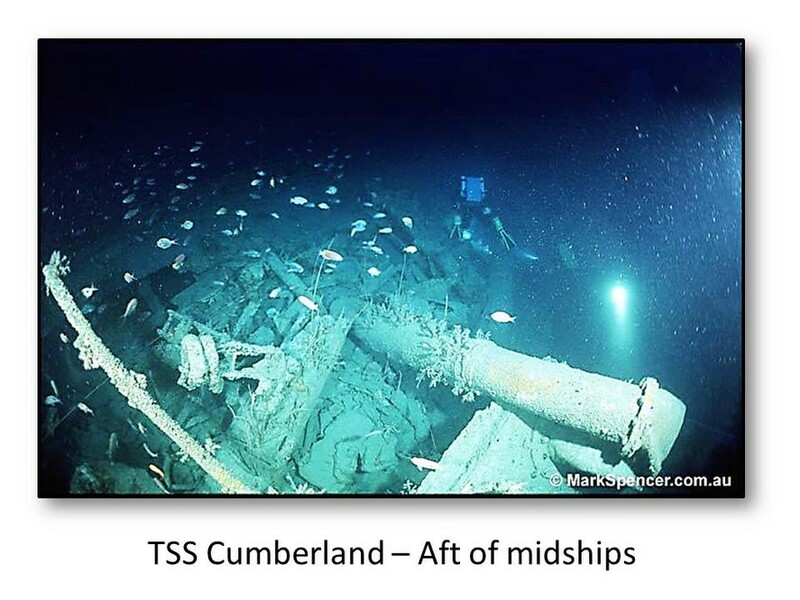 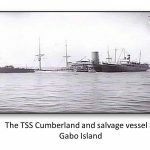 The Cumberland was sunk on 6th July 1917, on a voyage to the UK, when in a convoy travelling south around Gabo Island she struck a mine laid by the notorious German raider Wolf. 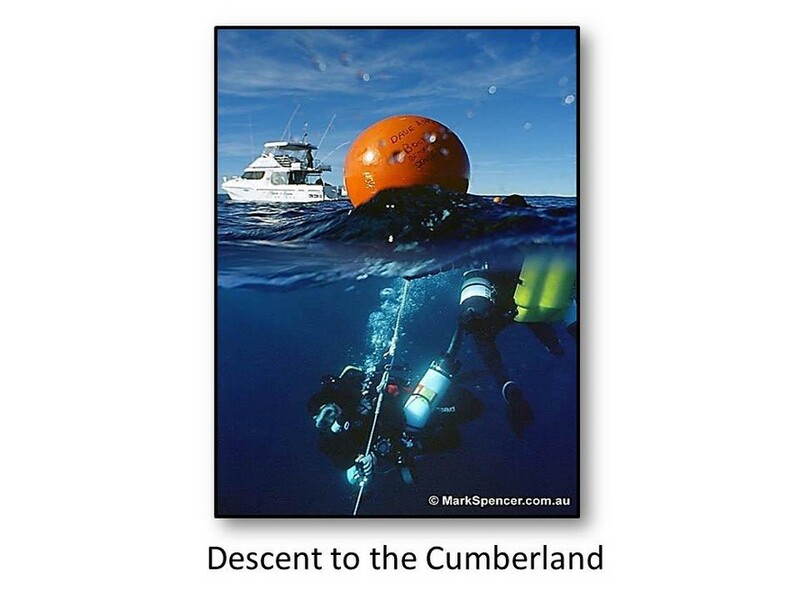 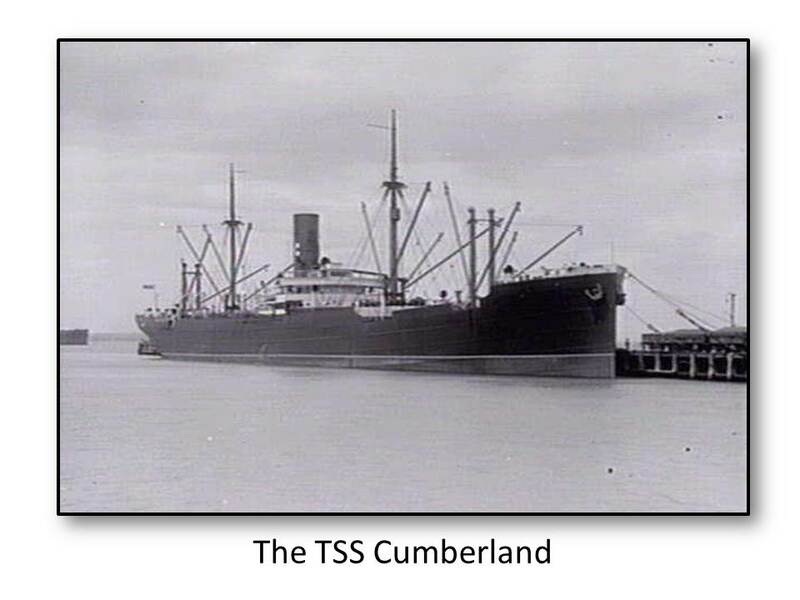 As one of the very first ships sunk in Australian waters by enemy action, the Cumberland become the subject of much discussion and controversy, with the Australian Government blaming the sinking on saboteurs working on the docks of Australia’s northern states. 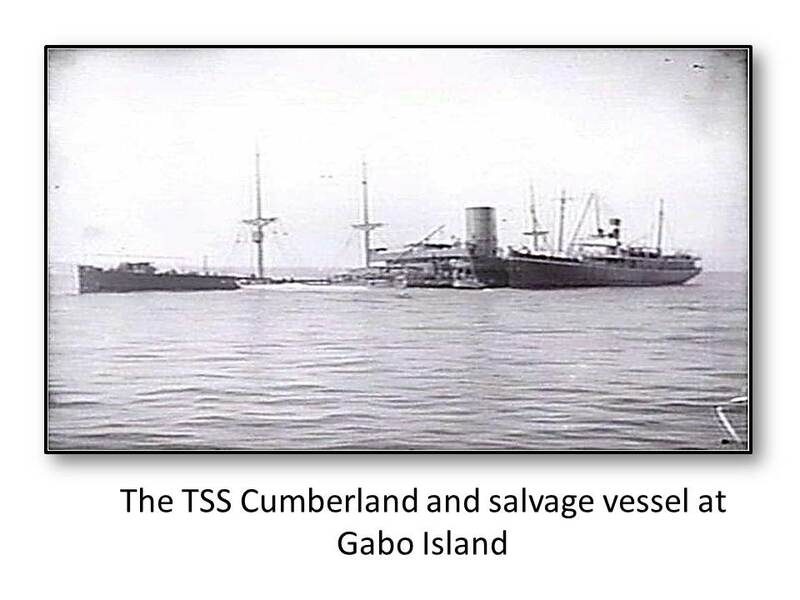 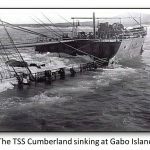 The Cumberland was run aground on Gabo Island in order to hopefully undertake repairs and save the ship and the cargo. 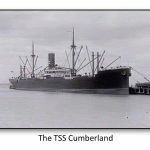 After extensive salvage and repair work, the tugs Champion and James Paterson took the Cumberland in tow, stern first, and headed for Sydney. 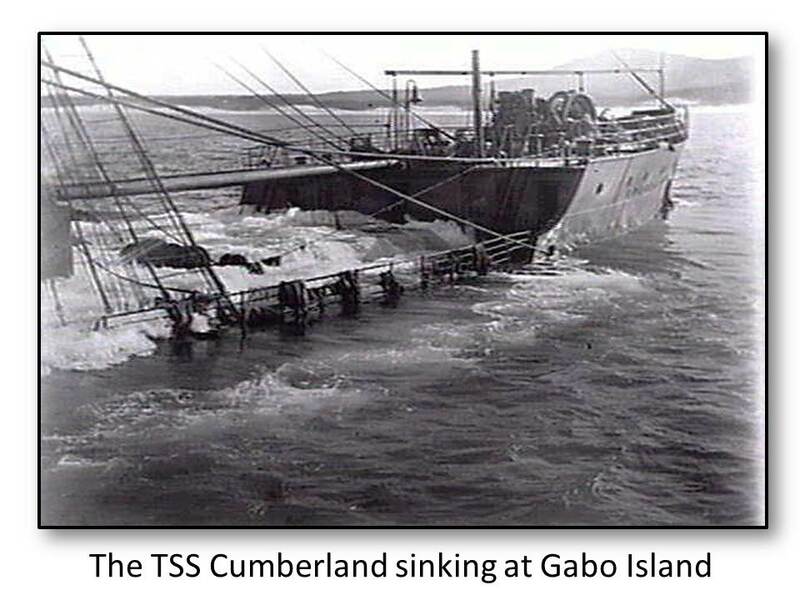 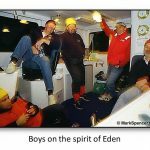 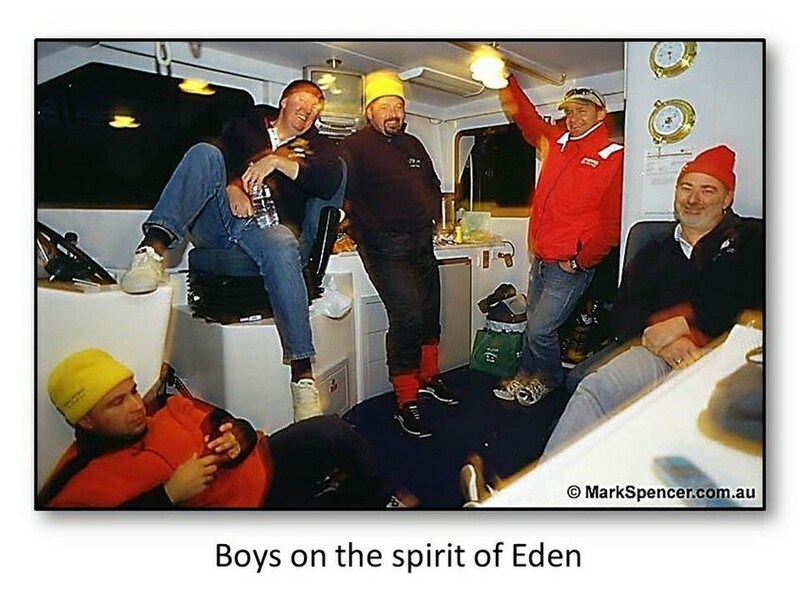 On 11 August, when five mile south-east of Green Cape a strong north-easterly allowed water to enter the salvage patch, and finally she buried her bows, reared her stern 50 feet into the air then plunged into 51 fathoms of water.